Somethings never good old. For me stuffed peppers are on that list. They are just delicious and they remind me of childhood memories sitting at the kitchen table with my family. Almost every night the four of us; my mom, dad, sister and I, sat in our unassigned, but always the same, seats. We learned manners and conversational skills and we were responsible to demonstrate both during our family dinners. It's a tradition I hope to pass onto my son. Eating as a family seems like a lost art in the an age when parents appear to measure their success based on the number of after school activities which their children participate. 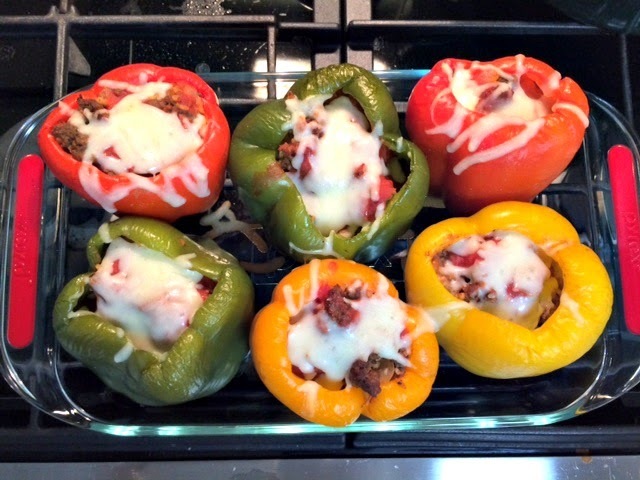 So now that I've been all nostalgic I can't wait to share one of my favorite family dinner recipes, stuffed peppers. 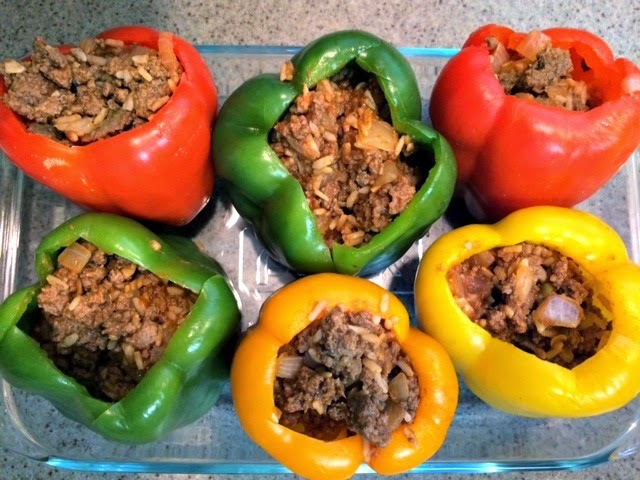 Stuffed peppers are such a great dinner option because they can be customized for almost any palate. Plus they are amazing reheated and they freeze well. 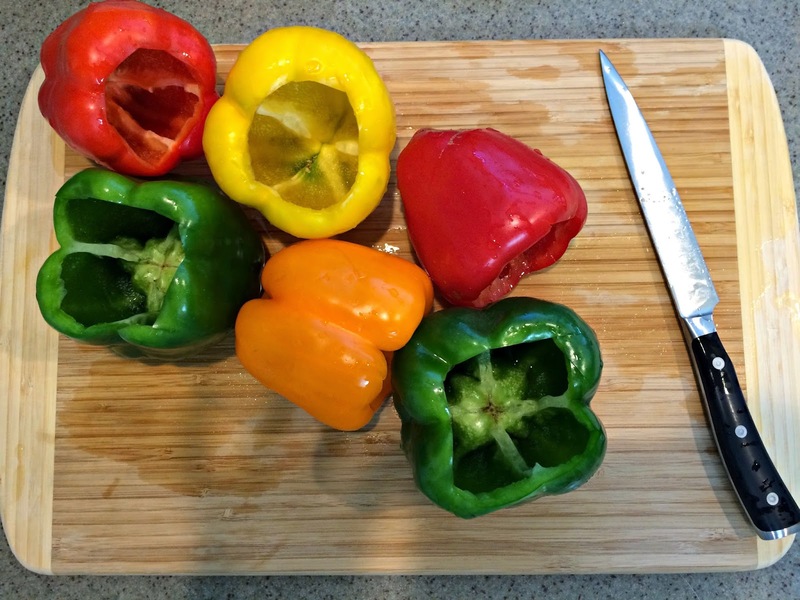 Remove the tops and inner membranes from each of the peppers. Rinse and drain. Brown the ground beef. Drain and set aside. Heat oven to 350 degrees. 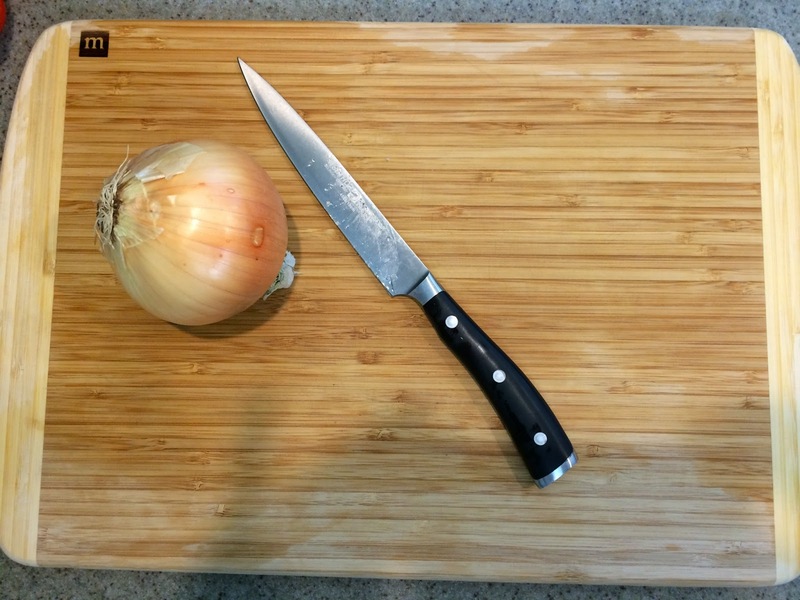 Add the chopped onion to a skillet over medium heat. 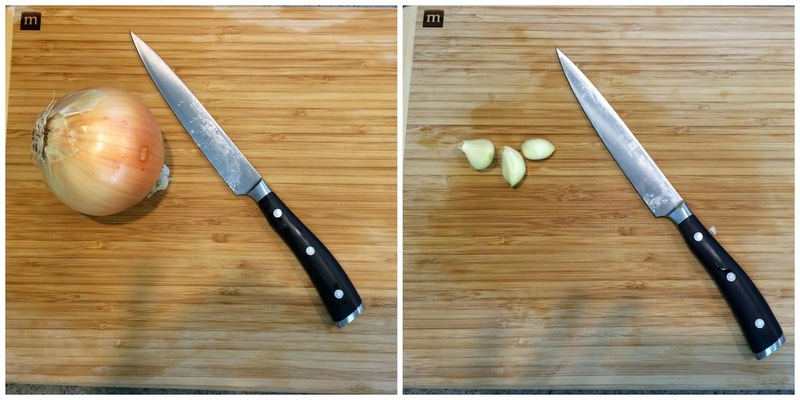 Saute onion until soft, about 5 minutes. Stir in the beef, salt and garlic, warming throughout - another 2 minutes. Add the tomato sauce and make sure it's fully incorporated and finally add the rice. Add the filling to empty peppers. Cover with foil and bake for 45 minutes. Remove the foil add cheese to the tops of each pepper and bake an additional 10 minutes. There's only one thing left to do - Enjoy! 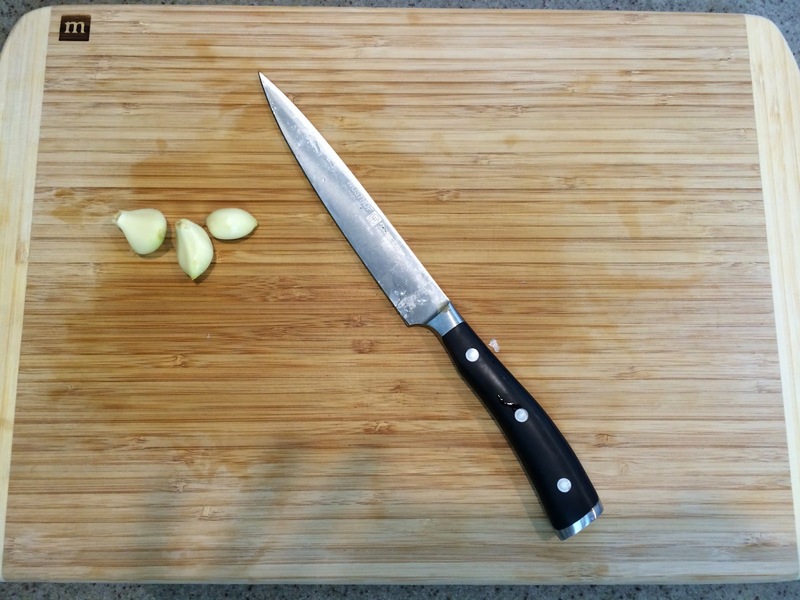 Do you have any recipes that remind you of your childhood - please share! MMM I love stuffed peppers! 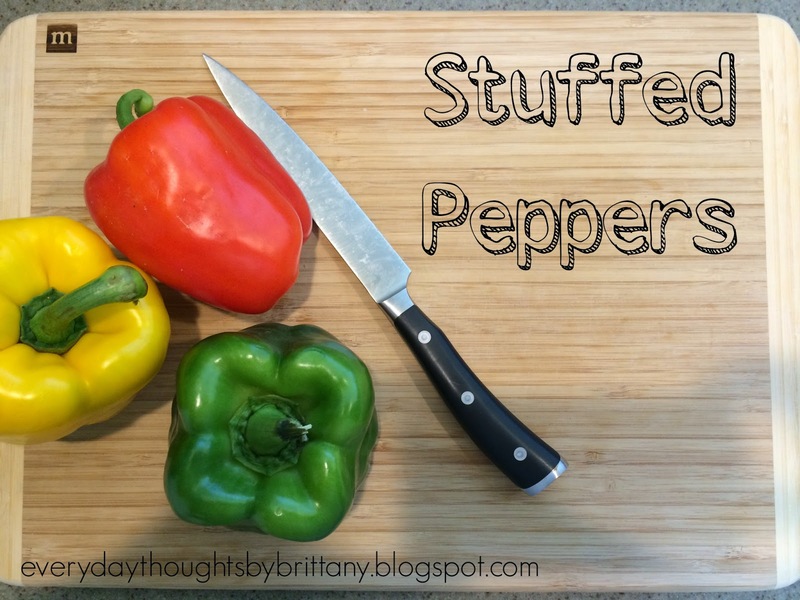 Stuffed peppers are my favorite!! Soooo good! Pinned! Yum this looks sooo good! They are so delicious and super simple! I hope you enjoy - thanks for the comment Trish! 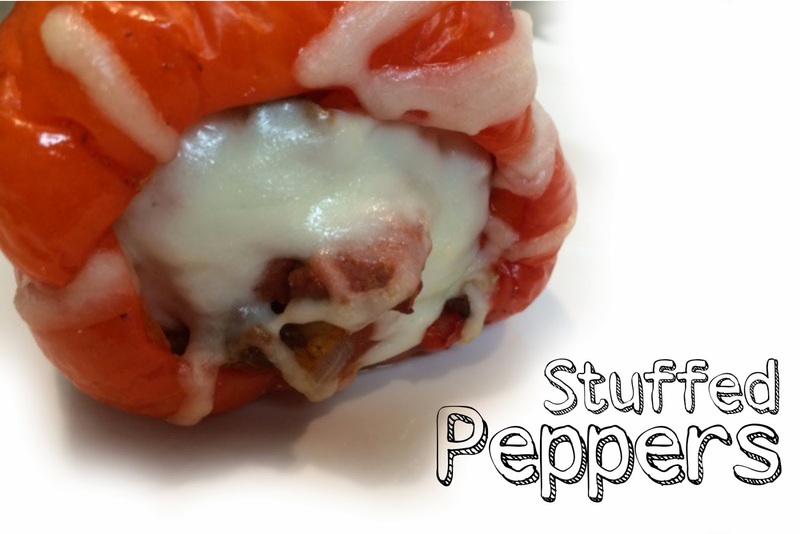 Ha you are so sweet - and if you loved stuffed peppers these will not disappoint!